You have probably seen the coverage today about Publishers Lunch’s BUZZ BOOKS 2013, featuring substantial excerpts from 28 highly anticipated Spring/Summer titles. We’re delighted to be working with Michael Cader and his team on this project, by offering to trade professionals a version of the sampler which features links to request or download the full galley via NetGalley. The sampler is available to READ NOW by clicking here, or on the cover image below. Click the “Additional Trade Information” link at the end of the excerpts to see the NetGalley links. What book are you most excited to read from the list? What have you read so far? Tell us on Twitter by tagging @NetGalley and #BuzzBook, or on our Facebook page. Scroll down to view the complete list of excerpts and more information about BUZZ BOOKS 2013. Note: This project was made all the more meaningful to NetGalley because Publishers Lunch works closely with Joshua Tallent of eBook Architects on the production of the ebook. Joshua heads up this premier ebook design and production firm, now part of Firebrand Technologies (who also owns NetGalley). Chances are, if you are reading a beautifully designed and executed ebook (as the BUZZ BOOK is), you are benefiting from the work of Joshua and his team. 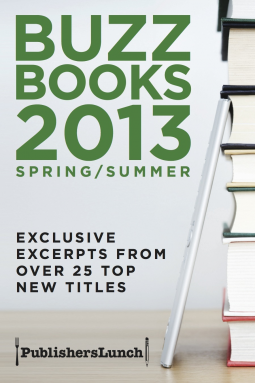 ABOUT BUZZ BOOKS 2013: SPRING/SUMMER: Winter Institute and Beyond, in an eBook. The new edition of BUZZ BOOKS—available on all major ebook platforms—presents substantial excerpts from 28 highly anticipated books set for release between March and July. For trade readers, it builds on the ABA’s Winter Institute 8, convening later this month in Kansas City, helping to amplify what has become the unofficial spring/summer launch event. For everyone who can’t make it to WI8, we feature excerpts from 11 authors appearing there. BUZZ BOOKS 2013 combines excerpts from major new works of nonfiction—Michael Pollan’s COOKED; bestselling authors of Made to Stick and Switch Chip Heath and Dan Heath’s DECISIVE; and Lily Koppel’s THE ASTRONAUT WIVES CLUB (already in film development)—alongside potential breakouts from established novelists. There’s Kate Atkinson’s LIFE AFTER LIFE, Joe Hill’s NOS4A2, Meg Wolitzer’s THE INTERESTINGS, Ruth Ozeki’s A TALE FOR THE TIME BEING, Philipp Meyer’s THE SON, Therese Anne Fowler’s Z: A NOVEL OF ZELDA FITZGERALD, Alexander Maksik’s A MARKER TO MEASURE DRIFT, and Benjamin Percy’s RED MOON. We also feature samples from such highly anticipated debuts as Pushcart winner Anthony Marra’s A CONSTELLATION OF VITAL PHENOMENA, Caine Prize winner NoViolet Bulawayo’s WE NEED NEW NAMES, and Anton DiSclafani’s THE YONAHLOSSEE RIDING CAMPF OR GIRLS. For YA fans, there’s an excerpt from Sarah Dessen’s THE MOON AND MORE, and still others. Plus, to cover the coming season of new releases even further, our news editor Sarah Weinman has a lengthy preview of notable books on the horizon that covers over 100 more titles. The special “trade edition” includes important promotional, rights and contact information for each title, along with links to click-through and request the full digital galley from NetGalley.